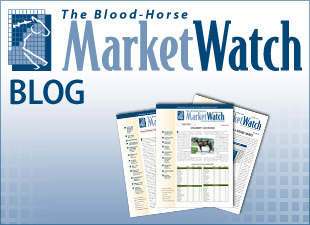 Halfway through the 2013 Keeneland September sale we looked at the chart of sold yearlings by hip number (see blog). At that point the median was $120K. 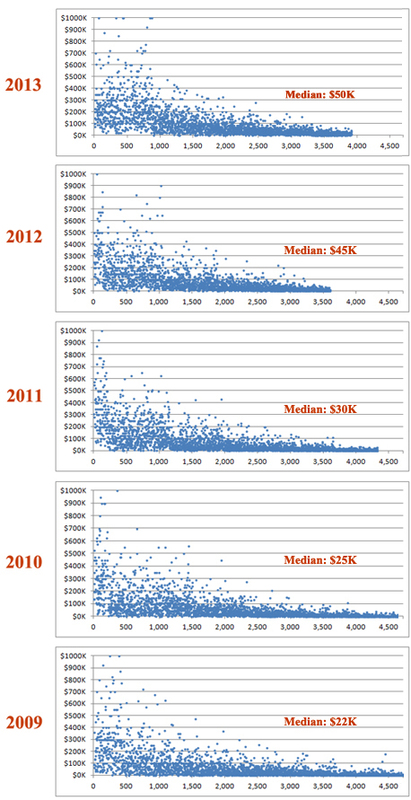 The updated chart below shows how second-half sales tempered that figure to a more reasonable $50K (+11% vs. 2012). The average price of $102,220 reflected a 17% gain compared to the 2012 figure. Interestingly, the Dow Jones Industrial Average is also up 17% compared over the past 12 months.